Fact is, you don’t need to slay yourself with a “detox” regimen in order to lose weight and cleanse your body of the damage you did last weekend, courtesy Lahore’s food street! 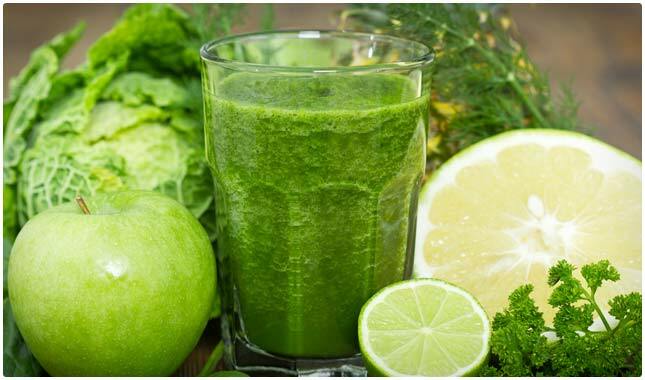 Good news is your liver and kidneys do a mighty fine job at the cleanse thing without juices, fasts or strange concoctions. As compiled from eatthis.com, there are a handful of foods, some that are home staples in your mum’s kitchen — with impressive detoxifying and slimming properties. So hold those juice detoxes and try these instead. Did you know that the fatty deposits that build up around your liver after weeks of overeating and indulging in your meethas put you at increased risk for liver cancer. But just a couple small handfuls a day of vitamin-crowded almonds could help cleanse the deposits out, according to a recent study from the Journal of the National Cancer Institute. Researchers found a clear inverse response between vitamin E intake and liver cancer risk — those that consumed the most about 16 mg, or about 15 almonds, showed a 40 per cent lower risk of liver cancer than those who consumed less. A study in The Journal of Agricultural Food Chemistry found that hara dhanya or cilantro, the aromatic herb that gives our desi cuisines its distinctive flavour, contains a unique blend of oils that send a “simmer down!” message to an upset stomach. In fact, these two oils (specifically, linalool and geranyl acetate) are so powerful they’ve been shown to have a positive impact on irritable bowel syndrome (IBS), according to a study published in the journal Digestive Diseases and Science. Go on, and dip that samosa in hara dhanya chutney already! Researchers say a healthy diet rich in anti-inflammatory omega-3 fatty acids may then help to reverse arterial stiffness, a common side effect of smoking, which, like a kinked hose, inhibits the flow of cleansing blood through the arteries and to vital organs. A three-week study in the International Journal of Cardiology found smokers who supplemented with just two grams of omega-3s a day, what you’ll find in a four ounce portion of salmon showed marked improvement in the elasticity of the arteries, allowing for healthy blood flow. Make it a ritual to start each day by making a large pitcher of “spa” water filled with sliced whole lemons, and make a point of sipping your way through at least eight glasses before bedtime. Citrus fruits are rich in the antioxidant de-limonene, a powerful compound found in the peel that stimulates liver enzymes to help flush toxins from the body and gives sluggish bowels a kick, according to the World Health Organisation. Leafy greens are food superstars — no wonder Popeye was obsessed with spinach! Greens have an incredible ability to cleanse your system of excess cholesterol, especially when steamed. A recent study published in the journal Nutrition Research compared the bile acid binding capacity of steamed greens to Cholestyramine, a cholesterol-lowering drug. Incredibly, these food heroes improved the body’s cholesterol-blocking process by 13% more than the drug. But, just hold the artery-clogging ghee and butter when you cook paalak paneer please!